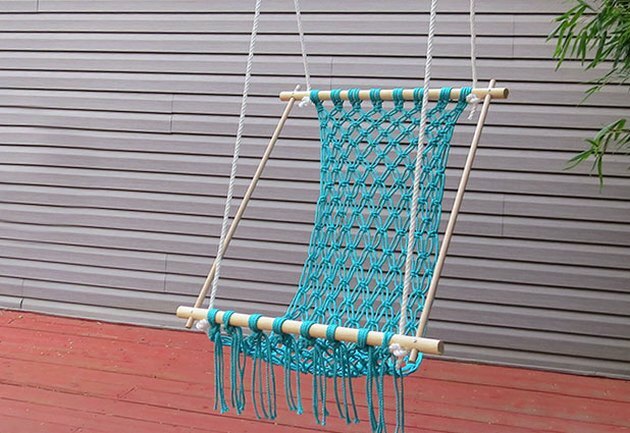 Sometimes, relaxing on the porch requires a comfortable and stylish hammock. 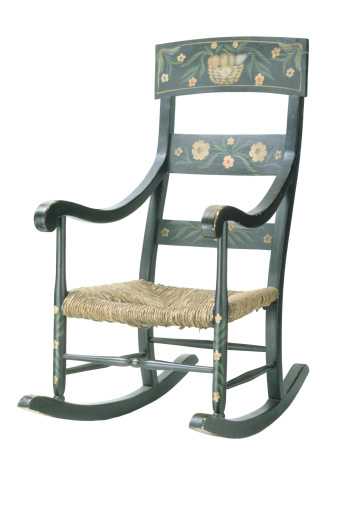 With a few tools and some basic math skills, you'll have a beautiful chair that shows off your do-it-yourself skills. 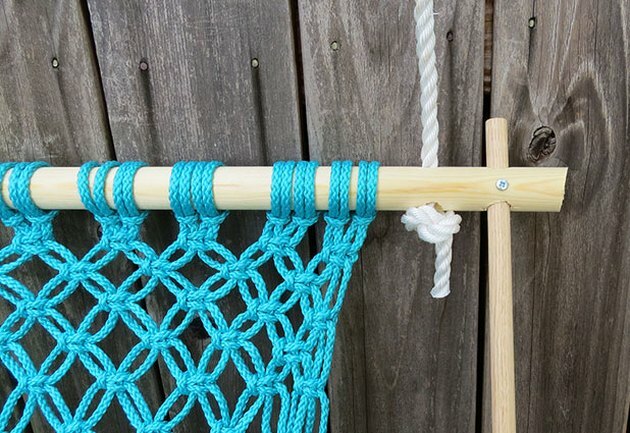 This hammock is made using the macrame technique, which requires knotting together cords. 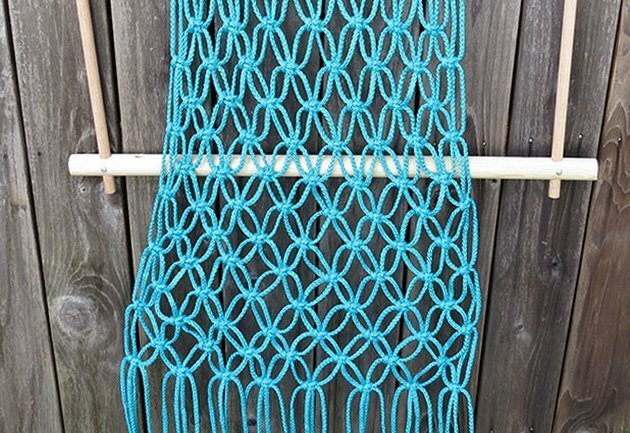 Macrame is a centuries-old method used to make furniture, plant holders and other home decor items. 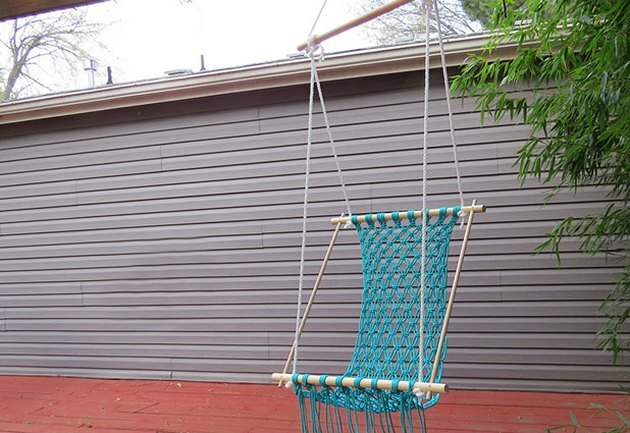 Relax on your porch in a comfortable macrame hammock. 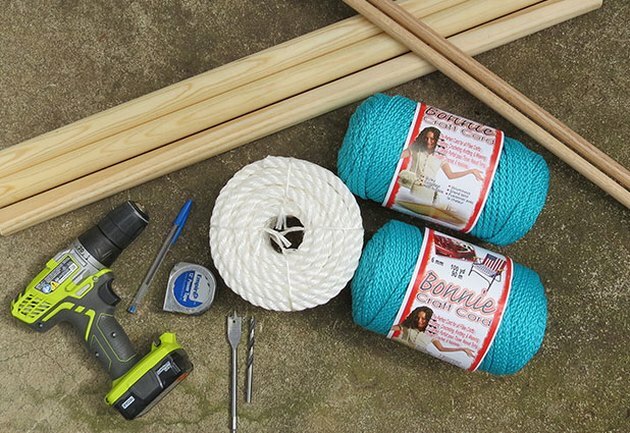 Supplies to make a macrame hanging chair. 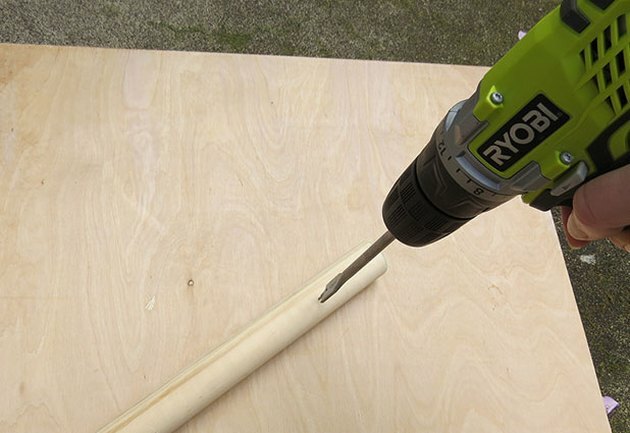 Drill holes in dowels using a spade bit or dowel jig. 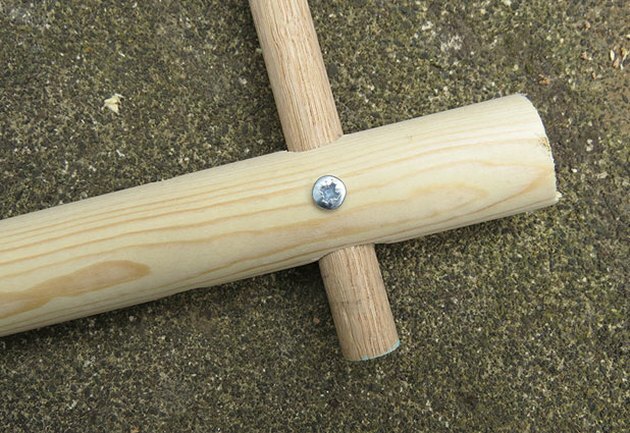 Drill a hole at each mark on each 1 1/4-inch dowel. 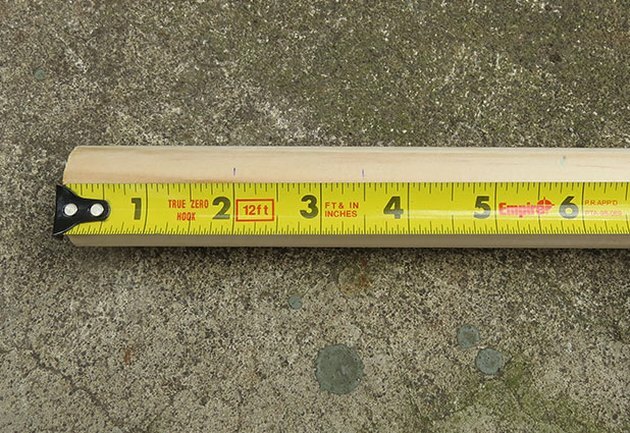 Start with a small drill bit and work your way up to 5/8 inch. A spade bit or dowel jig makes this much easier. Sand holes to remove any splinters. 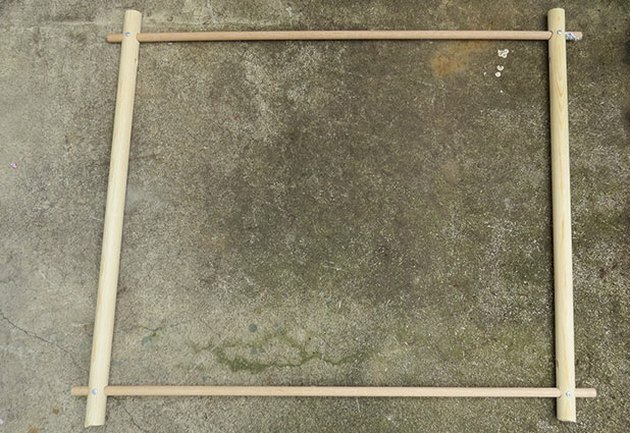 Slide dowels together to create a square frame. Screw together the two dowels to secure the frame. 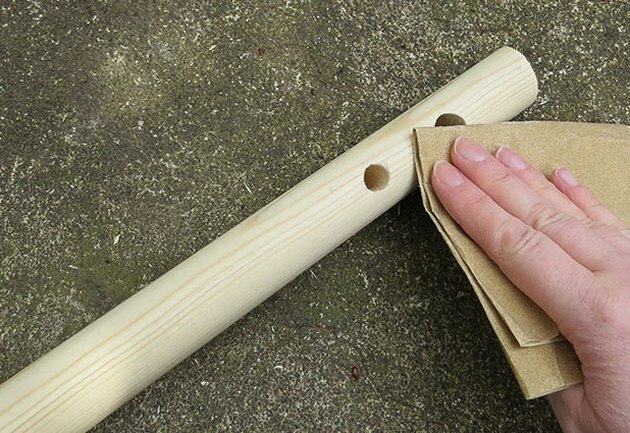 Wrap the loop around the dowel and pull the tails through. 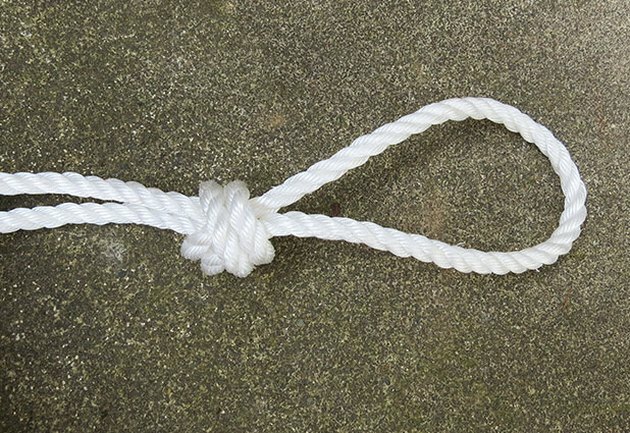 Four cords are used to create a square knot. Change the direction by crossing the cords from right to left. Pull the knot tight and continue with all the cords. 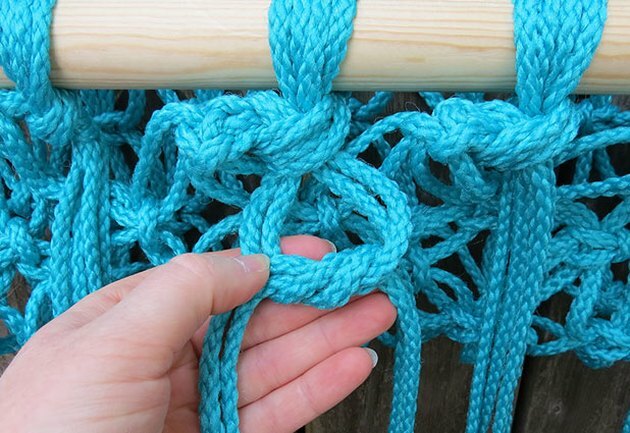 To complete the second half of the knot, you'll do the same thing in reverse. Take the right cord and cross it over the center two, then under the left cord. Then take the left cord and cross it under the center two cords and up through the hole, passing over the right cord. Pull the knot tight. Continue this with all the cords. Use two strands of cord from each section. 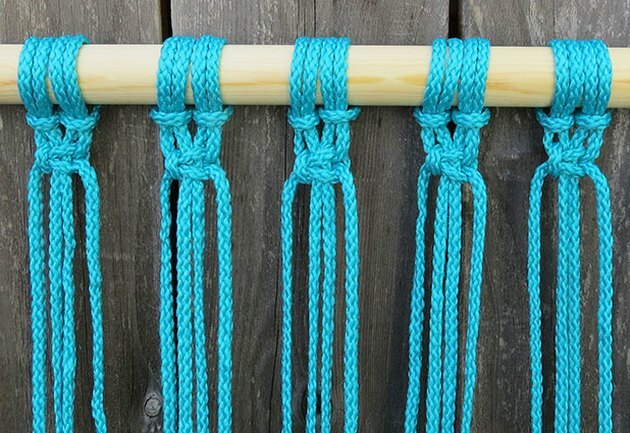 The next row also uses the same square knot but starts with the third cord. You'll be using two strands from each section. When knotting them together, make sure to keep everything even. Continue this until to reach the end of your cords. 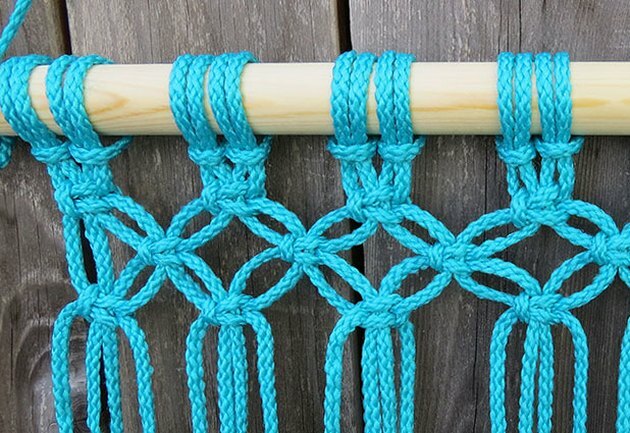 Continue using square knots to create the seat pattern. The seat needs to be longer than the frame so it hangs loosely. 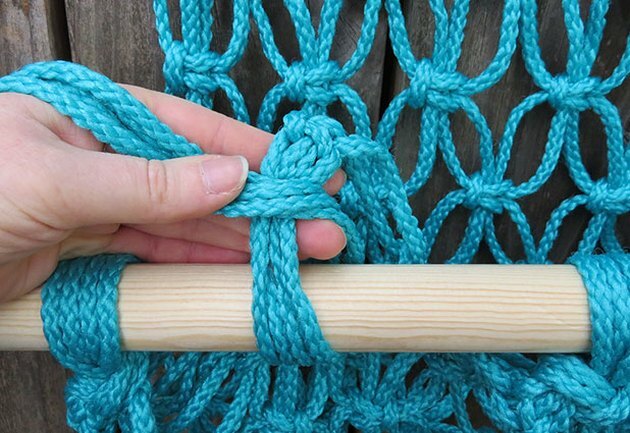 Wrap the cords around the dowel and tie a knot. 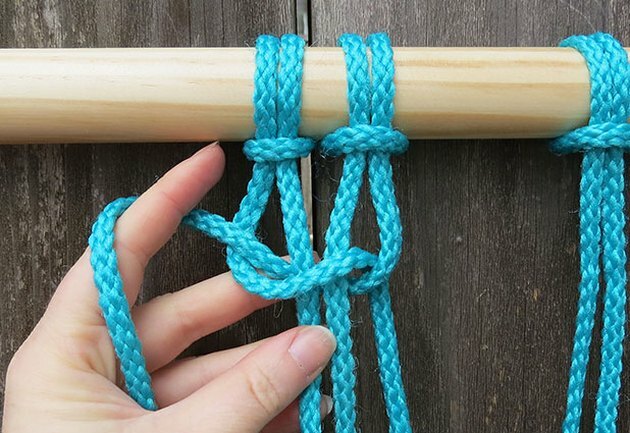 Tie a second knot to secure the cords to the frame. Cut the ends of the cords to the length desired. Cut the rope and create a loop. 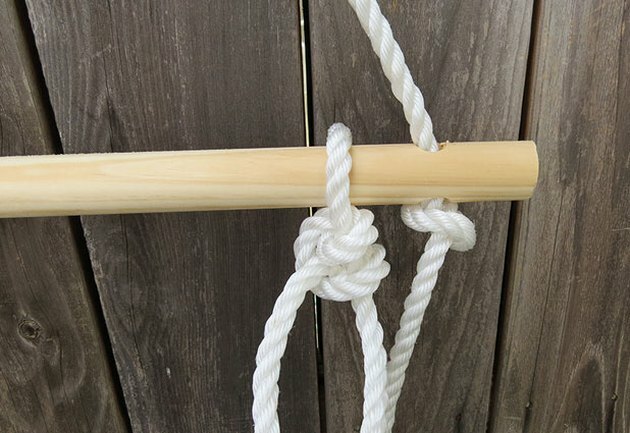 Temporarily hang the rope to string the dowels. 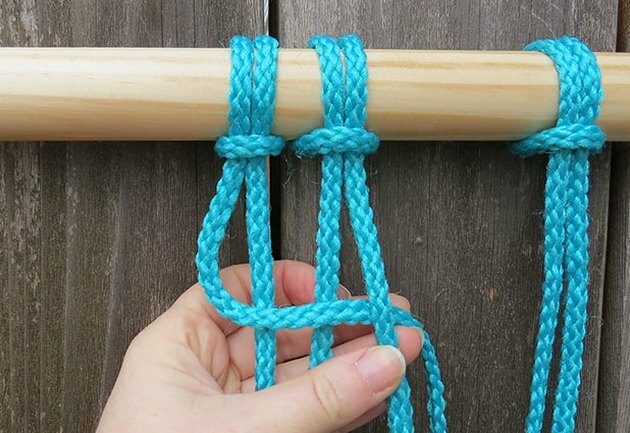 String the rope through the top of the frame and tie a loose knot. 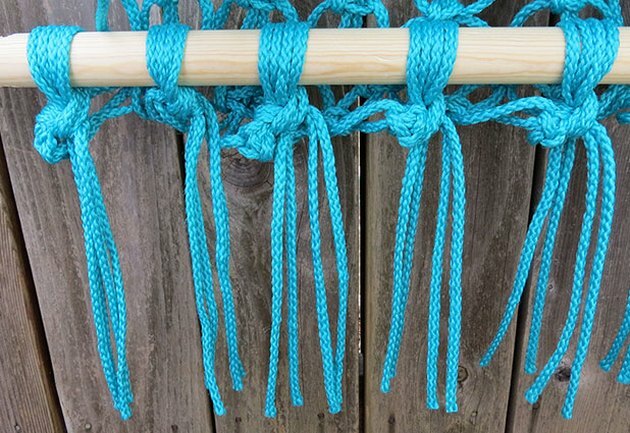 Continue with the same piece of rope. 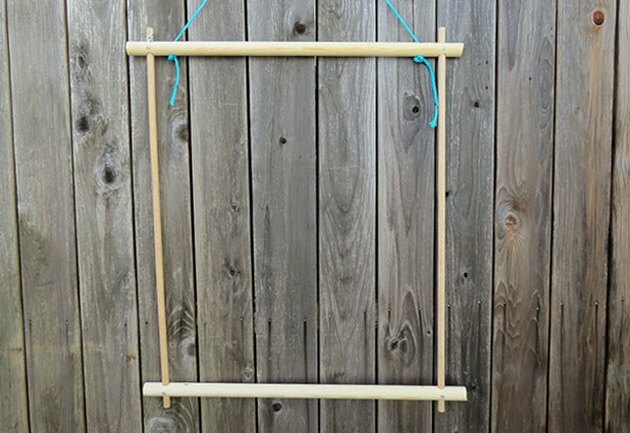 String it down through the top of the frame on each side and tie a loose knot, leaving 30 inches in between the two dowels. 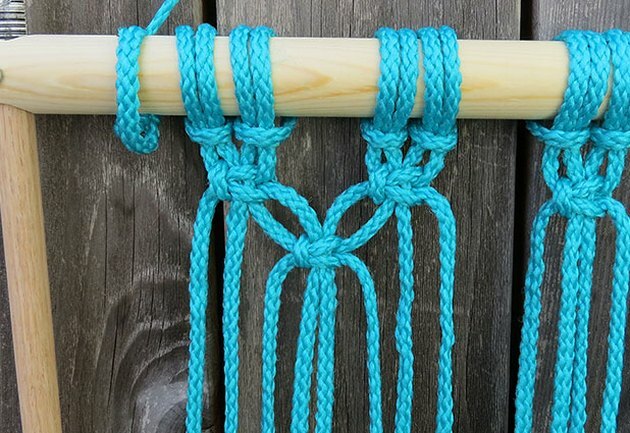 You want a loose knot because once you hang the finished chair, you'll need to make some minor adjustments. 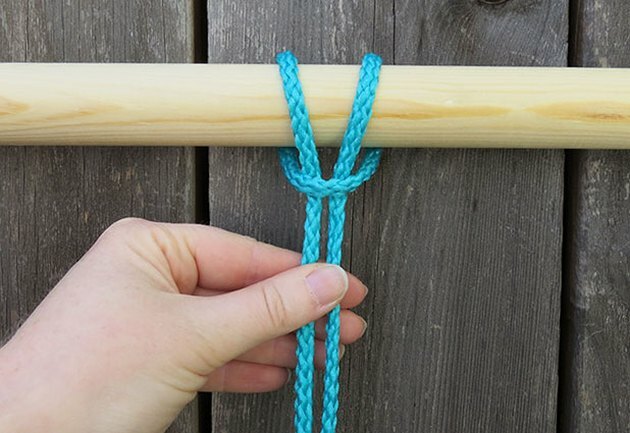 String the rope through bottom of frame and tie a loose knot. 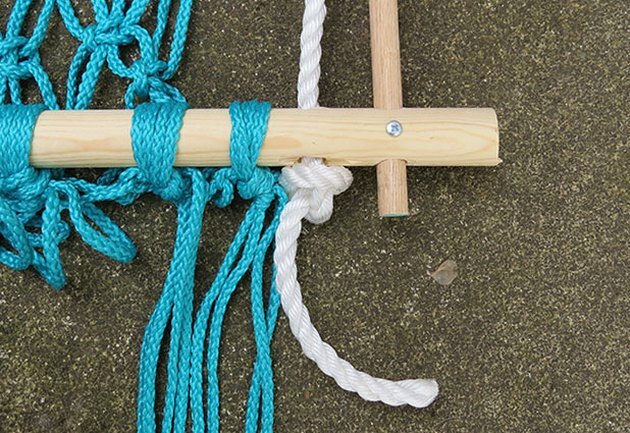 Wrap the rope around the third dowel and tie a loose knot. 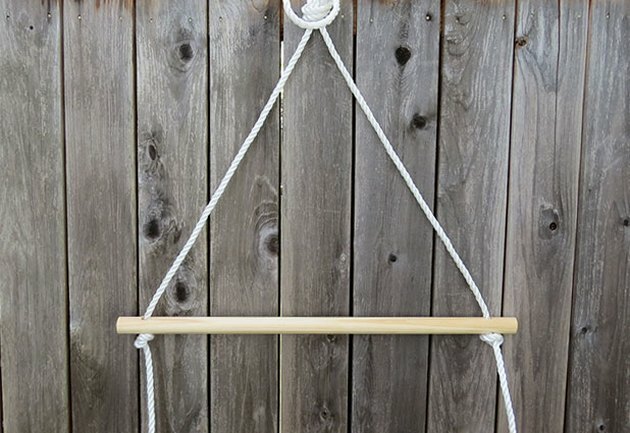 Hang the hammock from a sturdy hook and adjust the ropes.